Door And Window Installers Insurance New Jersey. Door and window installers prepare openings, hang doors or windows in the opening, and install hardware such as hinges, knobs and locks. Exterior doors and windows are sealed to provide a moisture barrier protecting the structure from weather related damage. Whether you run a mom-and-pop company or you are the head of a large corporation, if installing doors and windows in NJ is your business, you are going to want to make sure that you are properly protected with the right type of door and window installers insurance New Jersey coverage. 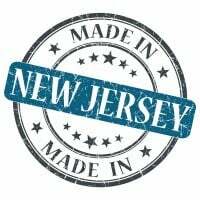 Door and window installers insurance New Jersey protects your installation business from lawsuits with rates as low as $47/mo. Get a fast quote and your certificate of insurance now. If you have insurance coverage, you can protect yourself from financial hardship in the event that the unthinkable happens. Your insurance provider will help to pay for any damages, medical bills, repairs, and legal fees that you might incur. For this reason, door and window installers insurance New Jersey is one of the best investments you can make for your business. These are just a few of the door and window installers insurance New Jersey policies that are available. To find out if there are any other policies that you should invest in and how much coverage you should carry, speak to a reputable insurance agent. Based on the unique nature of your business, an broker will be able to help you determine what type of coverage you need, and how much you require. Protecting your business from financial hardship is crucial, and that's exactly what door and window installers insurance New Jersey does. 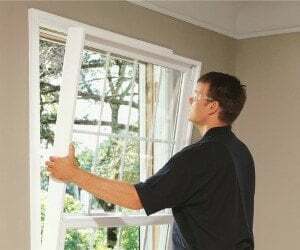 Request a free Door And Window Installers Insurance New Jersey quote in Asbury Park, Atlantic, Bayonne, Beachwood, Bellmawr, Bergenfield, Bound Brook, Bridgeton, Camden, Carteret, Cliffside Park, Clifton, Collingswood, Dover, Dumont, East Orange, Eatontown, Edgewater, Elizabeth, Elmwood Park, Englewood, Fair Lawn, Fairview, Florham Park, Fort Lee, Franklin Lakes, Freehold, Garfield, Glassboro, Glen Rock, Gloucester, Guttenberg, Hackensack, Haddonfield, Hammonton, Harrison, Hasbrouck Heights, Hawthorne, Highland Park, Hillsdale, Hoboken, Hopatcong, Jersey, Keansburg, Kearny, Kinnelon, Lincoln Park, Linden, Lindenwold, Little Ferry, Lodi, Long Branch, Madison, Manville, Metuchen, Middlesex, Millville, Morristown, New Brunswick, New Milford, New Providence, Newark, North Arlington, North Plainfield, Oakland, Ocean, Palisades Park, Paramus, Passaic, Paterson, Perth Amboy, Phillipsburg, Pine Hill, Plainfield, Pleasantville, Point Pleasant, Pompton Lakes, Princeton, Rahway, Ramsey, Red Bank, Ridgefield Park, Ridgefield, Ridgewood, Ringwood, River Edge, Roselle Park, Roselle, Rutherford, Sayreville, Secaucus, Somers Point, Somerville, South Plainfield, South River, Summit, Tenafly, Tinton Falls, Totowa, Trenton, Union, Ventnor, Vineland, Wallington, Wanaque, West New York, Westfield, Westwood, Woodbury, Woodland Park and all other cities in NJ - The Garden State.